The curtains open this weekend for Nottinghamshire’s Children’s Pop-Up Theatre in county libraries, with the national debut performance of A Boy and a Bear in a Boat by Stewart Melton, based on a book by Dave Shelton. Nottinghamshire County Council, in association with The Spark Arts for Children are delighted to announce that the play will make its national debut at Mansfield Central Library on Saturday, July 25, with two performances followed by a tour of 15 other Nottinghamshire libraries during the summer holidays. Nottinghamshire’s library audiences will also get to see the play before it is then performed at the Edinburgh Fringe Festival from August 15-22. Bradley Foster and Ivan Stott will be starring as the Boy and the Bear in the new play by Stewart Melton based on the award-winning book A Boy and a Bear in a Boat by Dave Shelton (published by Random House Children’s Publishers UK). The book’s author Dave Shelton said: “I am intrigued and excited to see how my book has been adapted for the stage – how will they convey stormy seas – how will they accommodate a giant sea monster? Such questions pose no barrier when writing a book so it will be fascinating to see how it has been brought to life as a play. Councillor John Knight, committee chairman for culture at Nottinghamshire County Council said: ”We are looking forward to the first ever Children’s Pop-Up Theatre performances in our libraries and are pleased to present this brand new play specifically commissioned for libraries and communities of Nottinghamshire. 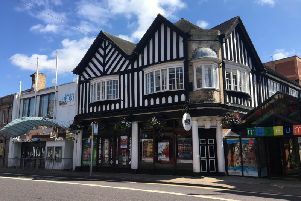 The county council announced recently that it had received £82,477 National Lottery funding through Arts Council England’s Grants for the Arts Libraries Fund to create the Children’s Pop Up Theatre Project. The unique theatre production tells the tale of a truly extraordinary journey and an unbreakable friendship. The boy and the bear overcome adversity, make new friends and learn to tackle almost anything. This is a beautiful story and is guaranteed to capture the hearts of children and parents alike. The play is directed by Adel Al-Salloum whose experience is in creating theatre for children and young people and finding ways in which people of all ages and abilities can access great art. Currently the Director of The Spark Arts for Children, prior to joining The Spark Adel worked as an Associate Director for both Northern Stage Ensemble and Curve Leicester. In terms of the actors, Bradley Foster is currently training at the Guildford School of Acting and has performed as a member of the National Youth Theatre in Pope Joan (London), and Curve Young Company (Leicester) in; The Dreaming, GameFace and 3am, as well as His Dark Materials and the Curve 5th Birthday Gala. Ivan Stott has worked in theatre for 25 years as a composer, musician, MD, sound designer, actor and workshop facilitator. He has created work for children and young people with some of the best children’s companies and theatres across the UK and is recognised as a leading artist in this field.